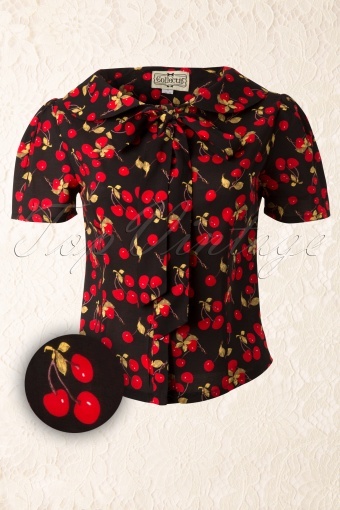 50s Lucille blouse Cherry Black Bow from Collectif. 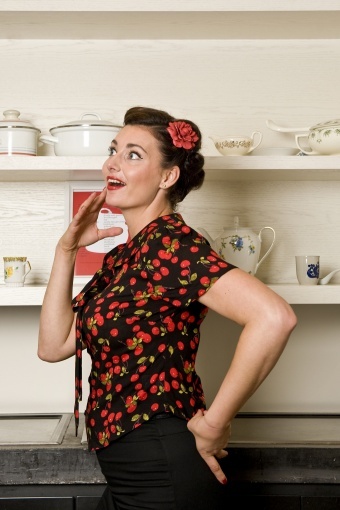 Elegant fifties vintage style blouse with round collar and 2 loose straps at the front to make a bow. 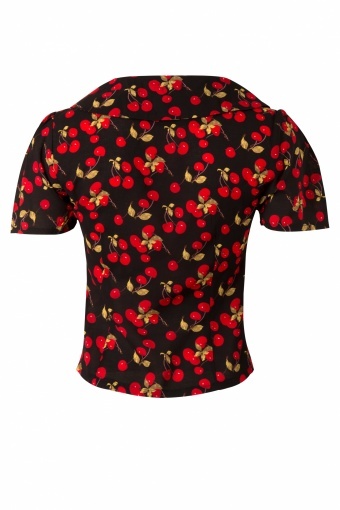 Made of rayon in black and a cute red cherries print. 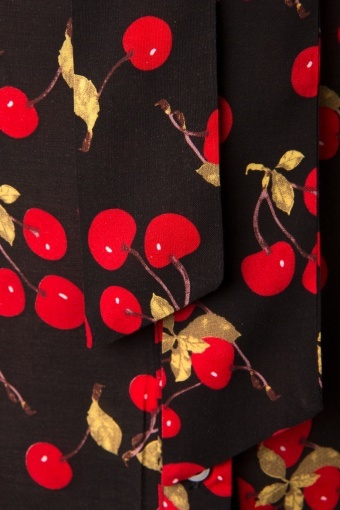 This short top is perfect to be tucked unto a high waisted pencil skirt for a truly vintage look.